This toast is all about balance. 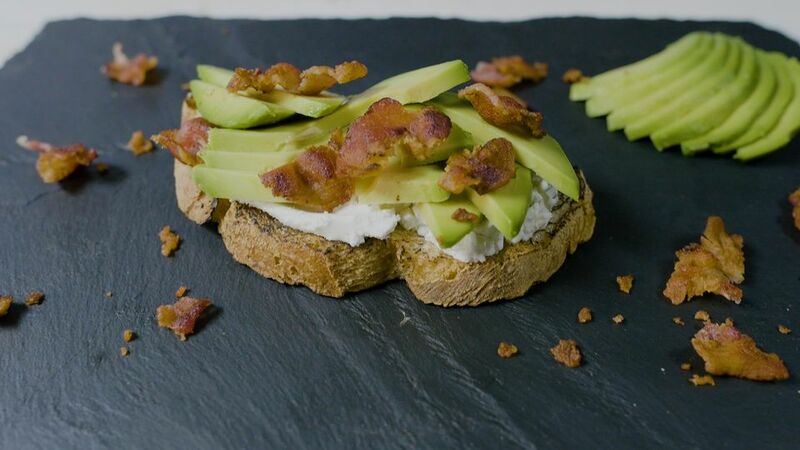 Take the tanginess of goat cheese, pair it with the creaminess of avocado, and top it all of with crispy, salty bacon. This toast makes an excellent savory breakfast or mid-afternoon snack. Cook bacon until crispy. Let sit and then crumble into small pieces. Slather each slice with goat cheese and top with avocado slices and crumbled bacon.